Readyville mill owner Tomm Brady has been honored by the Tennessee Historical Commission as a recipient of its 2009 Certificate of Merit Awards. The awards program, originated in 1975 by the Commission, recognizes groups or individuals throughtout the state that have worked to conserve or highlight Tennessee’s cultural heritage during the past year. The awards recognize historic preservation projects as well as work in the field of history. Brady’s restoration of the historic Readyville Mill has been a work in progress for the past three years. In a bad state of repair when purchased, Brady has transformed the Mill into a proud piece of Cannon County history. 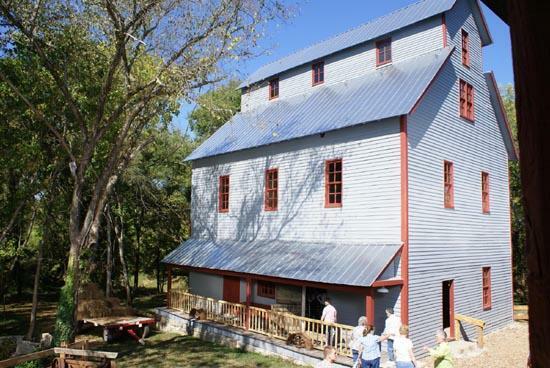 Brady, a resident of small town of Bell Buckle in Bedford County, made the list for his restoration of the 1870’s Readyville Mill, which had been abandoned for more than 20 years. Brady states the future goal includes opening the mill for public enjoyment. To complete the restoration includes the return of water to the spillway which crosses under Old Highway 70S from the dam to the base of the mill. The dam or weir will require rebuilding to direct the flow of Stones River to the Mill. State Representative Stratton Bone and Commissioner of Tourism Development Susan Whitaker have visited the Mill and discussed the possibility of state funding for the project. “The work of Tomm Brady is bringing forward the real Tennessee... the Tennessee people want to see,” said Commissioner Whitaker following her visit in May 2008. For more information about the Tennessee Historical Commission and its programs, please visit www.tn.gov/environment/hist/.